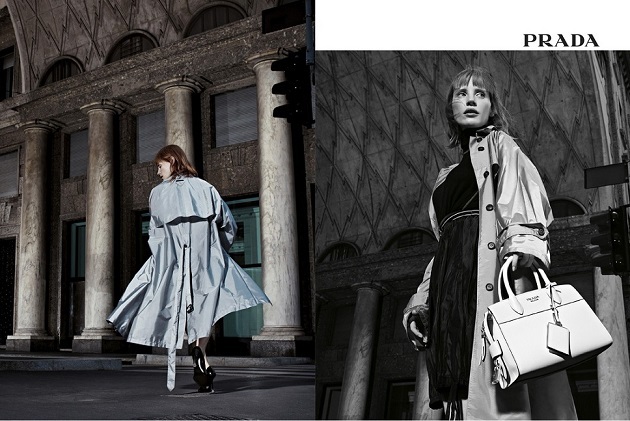 Photographed in Milan by Willy Vanderperre, featuring actress Jessica Chastain in its focus on heritage and deep institutional qualities, this series represents Prada playing Prada with the stately Italian metropolis providing an essential supporting role. Although they evoke cinematic escape, these images were shot where Prada feels most at home: Milanese landmarks such as the Civic Planetarium “Ulrico Hoepli”, via Daniele Manin, and the newly inaugurated Fondazione Prada. The images depict Chastain inspired by packing the essentials, as if for a journey. She wears, and carries, the essential Prada, a distillation of the brand. 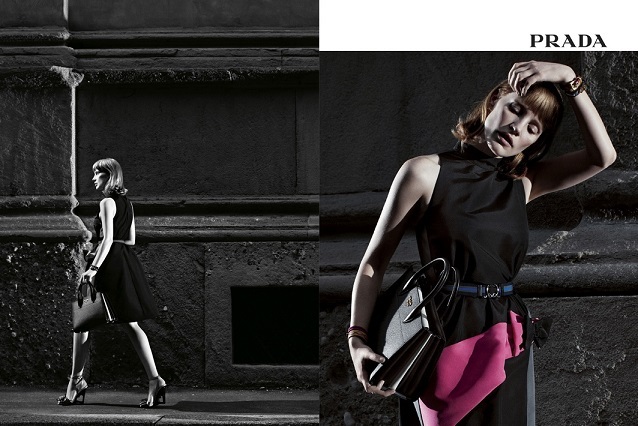 What Prada does best is to pair irreverence and elegance in the wearable. Here we see the essence of that often contradictory approach: the striking collisions of texture and pattern, tropes of femininity meeting a typically masculine agenda, and new takes on the shapes and materials for which the brand is known. Traversing its own heritage before taking off in an uncharted direction, Prada explores exploration, both spatial and psychological, itself. Singular actors, like the esteemed star of this campaign, mine histories both real and imagined in order to portray an interior life, if only for the moment of performance. By conjuring core emotional elements, she composes a fully rendered character. 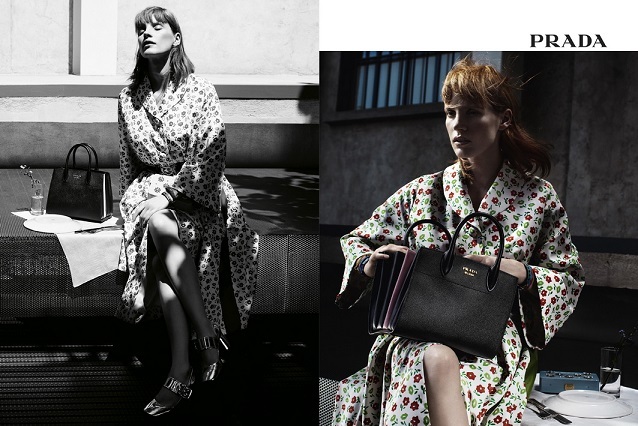 Appearing in a Prada campaign for the first time, Chastain, is often described as “an actor’s actor,” indicating the admiration of her professional peers. She is known to be magnetic in whatever role she plays, due in part to her insatiable desire to become others, even when - as she does for Prada - she plays herself. Perhaps there is a parallel to be drawn here. A true actor’s actor, like Prada’s Prada, can make even playing oneself a complete departure.